Are you ready to hear another kind of lion roar? Photos: Jane Speechley. 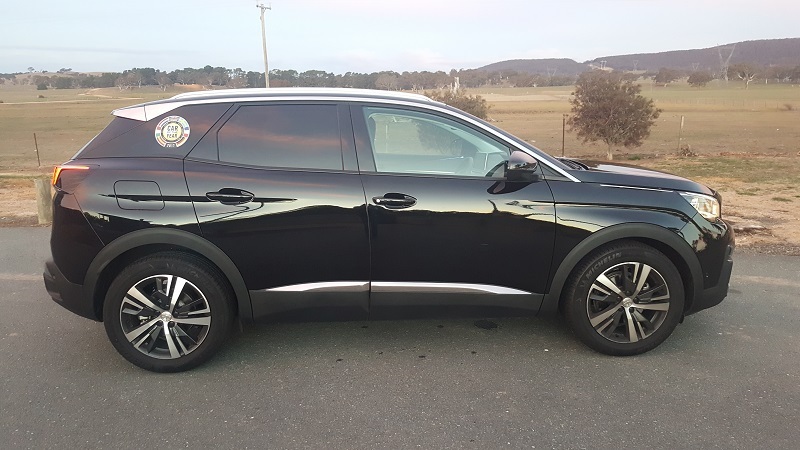 Ask the average Australian to reel off their favourite brands of SUV, and the name Peugeot isn’t likely to pop up too often. But take a closer look at 2017’s European Car of the Year, and you’ll find a few good reasons why you should dare to be different. The third car I ever owned was a bright red little Peugeot 306XR. 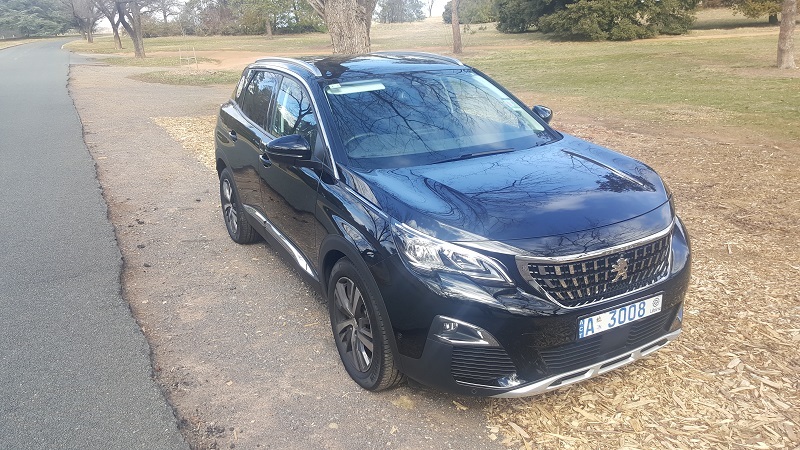 I’d never owned a French car, let alone a Peugeot, but I felt I wanted something a little different to the never-ending stream of Hyundai Excels and Toyota Corollas on the road at the time. Don’t get me wrong – those cars are common because they’re great cars: reliable, safe, affordable, yadda yadda yadda. I knew I was stepping outside the norm, but my little ‘Pug’– with its many clever design features, and equal or greater number of quirks – gave me many years of driving happiness. So when our friends at Rolfe Peugeot asked us to check out their Peugeot 3008 SUV, my hand shot up. Checking out the Peugeot 3008. While Peugeot doesn’t appear in most regular top-selling lists, we Aussies do have a soft spot for the French brand. You might be surprised to know Peugeot is understood to be the world’s oldest car brand, and we’ve been driving them here since the early 1900s. Market research shows today, Peugeot is still regarded as a bit of a ‘posh’ brand, and rates alongside notoriously well-made premium vehicles like Hondas and Mazdas. 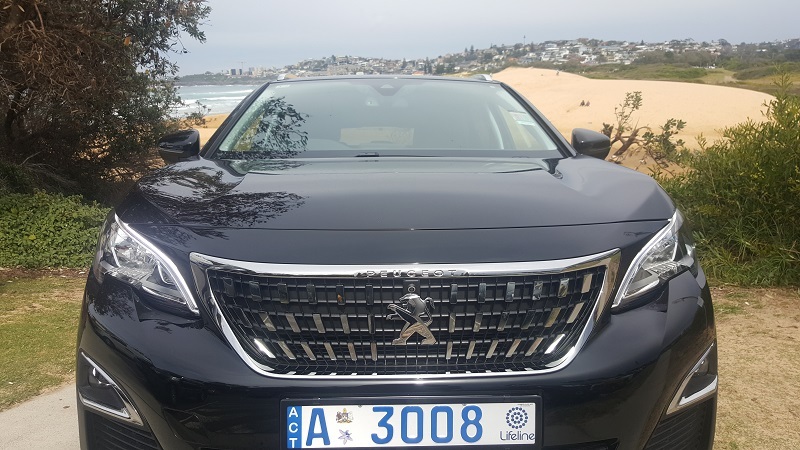 However, Peugeot in Australia has long been associated with zippy little hatchbacks like mine – the very popular 206 among them – so stepping up into the 5-door Peugeot 3008 is a world away. Front view of the Peugeot 3008. Rear view of the Peugeot 3008. The model we drove is the mid-range Allure, which is priced at $44,487 drive-away. Straight away, you’ll see there are two areas where Peugeot is at the front of the pack: comfort and style. Your family and friends will almost certainly comment on the ‘nice shape’. A sleek and sporty front leads to a solid and square-ish back end, resulting in a look that’s both balanced and classic. There’s no denying: it’s a good looking car. 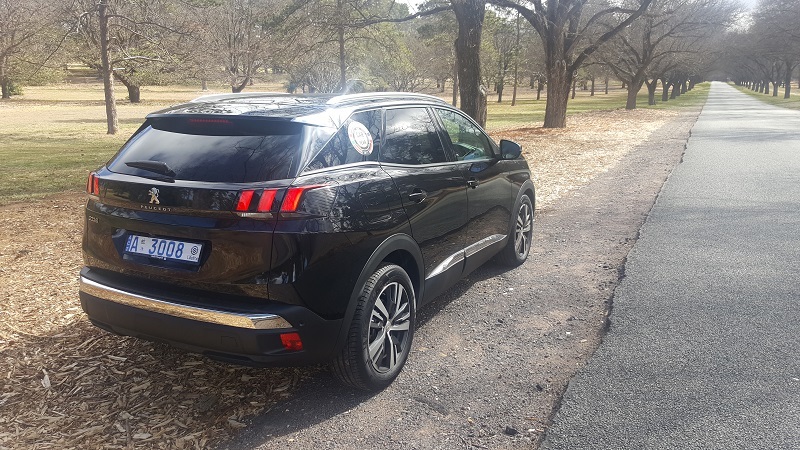 Sleek and sporty Peugeot 3008 style. Inside you’ll find seats that are deep (the window started at my shoulder) and comfortable. 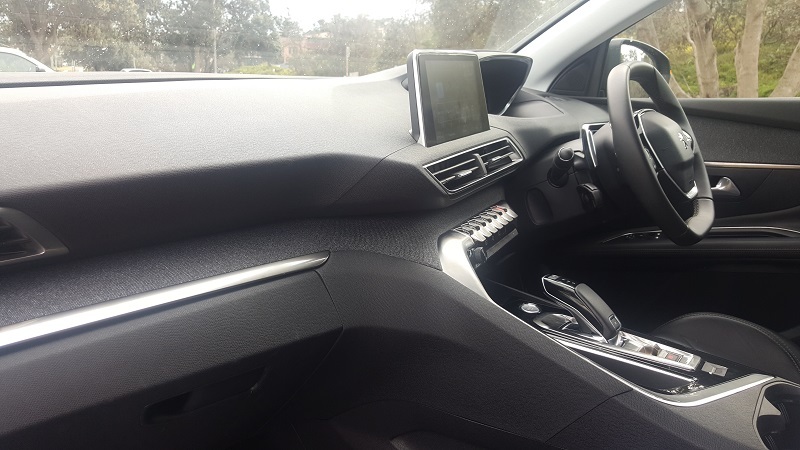 Stand-out features include the strikingly wide centre console and small, almost octagonal steering wheel, as well as a super-handy charging pad for your phone, if it’s a new enough model. Goodbye cords! 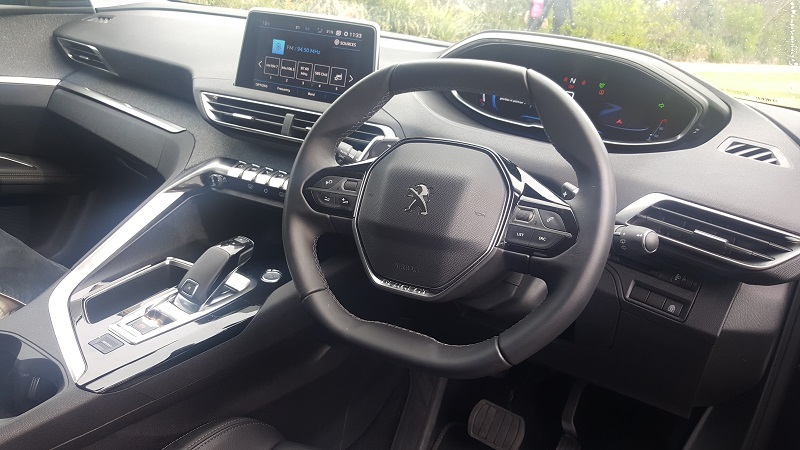 The view from the Peugeot 3008 ‘cockpit’. 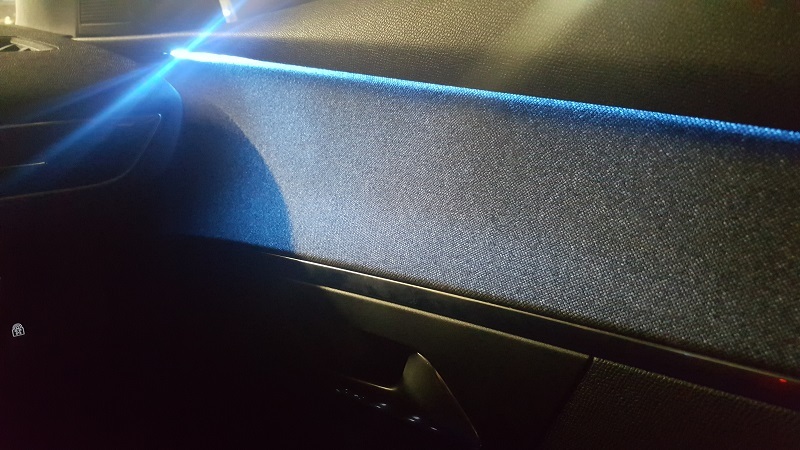 Attention to good design is apparent everywhere, from the dark interior with hints of chrome and fabric trim, to the huge digital driver’s display, and cool blue interior lights. This attention to detail shows up in so many little ways that you’ll appreciate: from the soft lining in the door cavities so your drink bottle doesn’t rattle round, to awesome little tabs that are so easy to find and press without having to look down. These are all signs of a company that really understands and cares about its customers’ driving experience. Adding to this spaceship feel is the ‘welcome to the cockpit’ message you’ll get from the dashboard when you hit the start button, along with a neat graphic display of spinning dials. 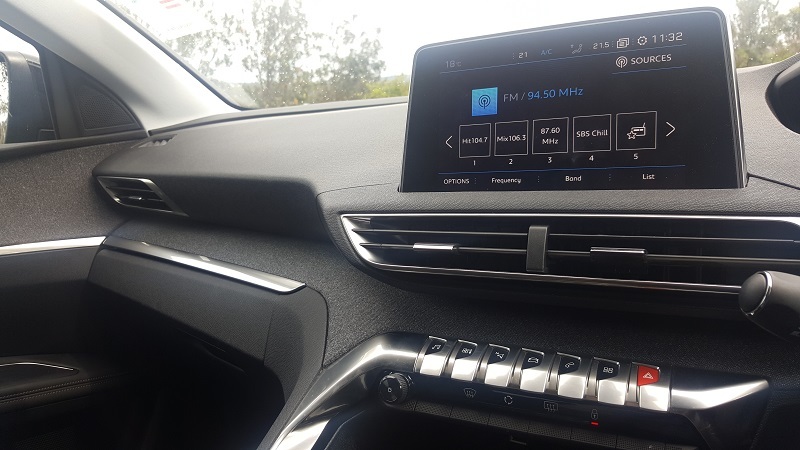 Controls on the centre console as well as the wheel mean you can quickly and easily cycle through all the available options, customising the display to suit your preferences. Easy-to-press control tabs and huge driving display. Safety rates high in the decision to buy a new car. So whether you’re piling the family into the back, heading off on a road trip with a friend, or just on your daily commute to work, you’ll appreciate the Peugeot ticks all the big active and passive safety boxes. From lane departure warnings, adaptive cruise control with stop function, active safety braking and pedestrian detection and blind spot alerts, to stability control and airbags in just about every square inch of internal real estate – rest assured, it gets the all-important 5-star rating from ANCAP. As you’d expect in a SUV, you’re not going to set any land speed records from 0 to 100kmph. However, the 1.6l, 4-cylinder turbo petrol engine gives a satisfying kick for when you need to pick up speed quickly to merge or overtake. The 3008 doesn’t come in an all-wheel drive, but it does have a Peugeot feature called ‘Advanced Grip Control’. This essentially builds upon the existing stability control with advanced electronics and clever calibration that automatically adjust the car’s power, braking and other features, to deal with changing conditions and improve traction and stability. Certainly, it should be enough to keep the average weekend off-roader happy – heck, it’s even competed in the Dakar Rally. 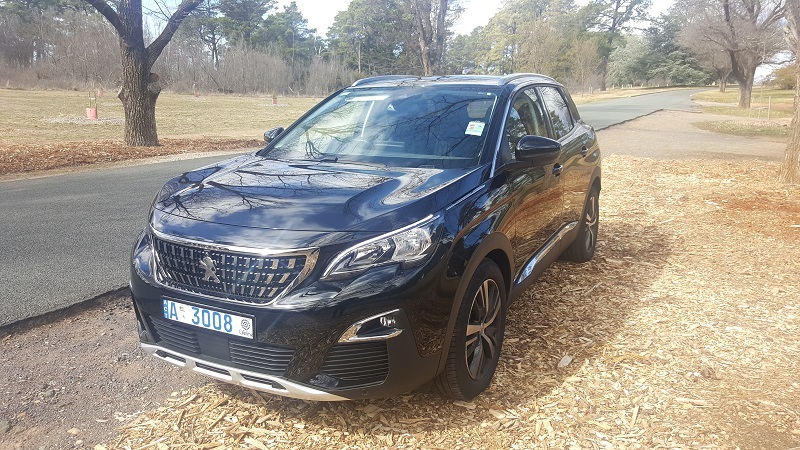 The Peugeot 3008 is ideal for weekend road trips and a bit of ‘soft-roading’. 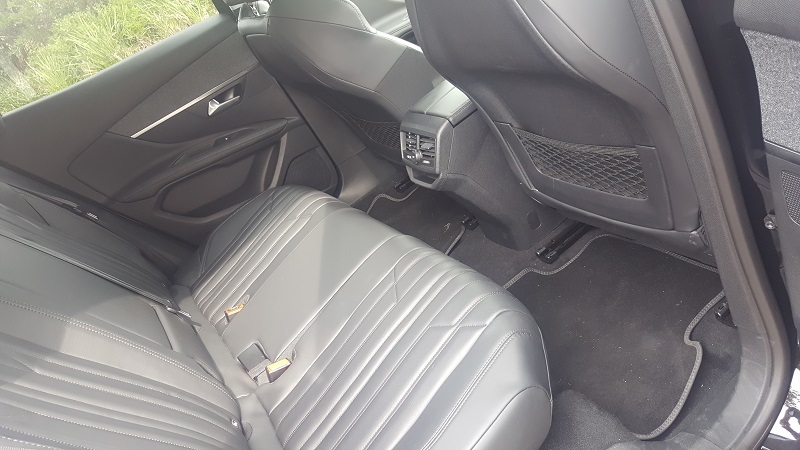 Add to that, everything you should be looking for in a model like this, that you won’t need to compromise on: plenty of leg room and a nice flat floor to enable people to move around; as well as flat-folding rear seats and a tonne of boot space (among the biggest in the class) for lugging around all your stuff. 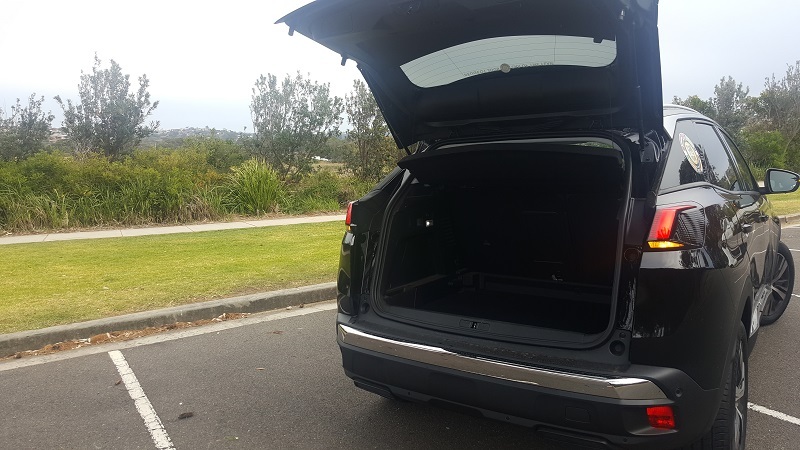 The Peugeot 3008 has one of the biggest boots in its class. Something different: for those who don’t want to pull into a space in the parking lot, and see identical vehicles on both sides. Nice shape: the sleek front combined with a ‘squound’ rear attracts plenty of admiring looks on the street. Comfort + performance: enjoy a safe and sturdy seat, while not being embarrassed while pulling away from the traffic lights. Cool interior displays, fittings and lights: you will feel a bit like you’re driving along in a spaceship. Sure, they don’t contribute to safety or performance – but driving is meant to be fun as well. When Australians in automotive circles talk about ‘hearing the lion roar’, they’re usually talking about a different brand. 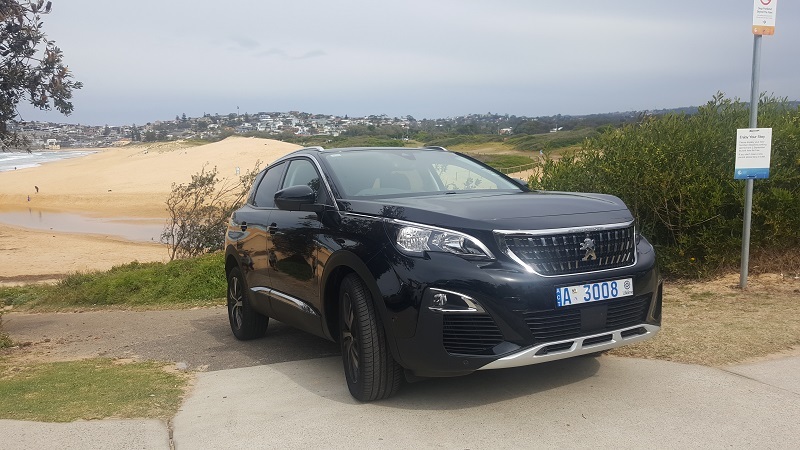 The bottom line is, if you’re in the market for a small-to-mid-sized SUV, you might not have really thought about the Peugeot – but you should. While ticking all the boxes for safety, comfort and convenience, it still manages to add a little bit of fun into the mix. If you’re ready to take a little step outside the mainstream, it might be the car for you. 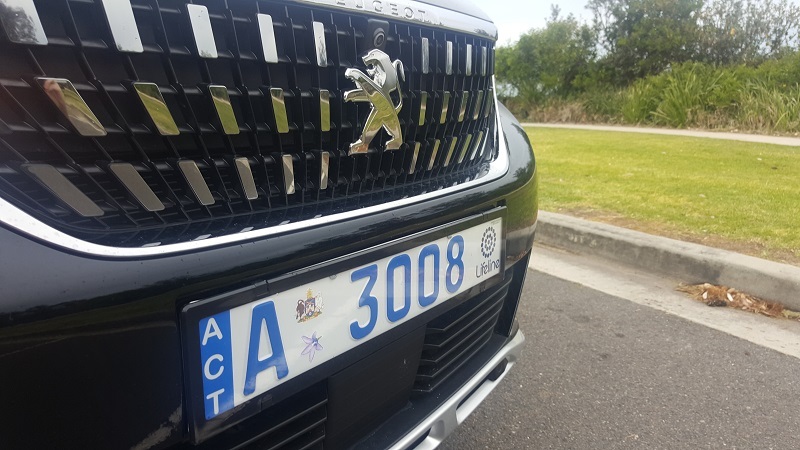 Taking a closer look at the Peugeot 3008. The Rolfe Peugeot dealership on Melrose Drive. Are you a fan of Peugeots? Would you check out the 3008 when you’re shopping for your next car? 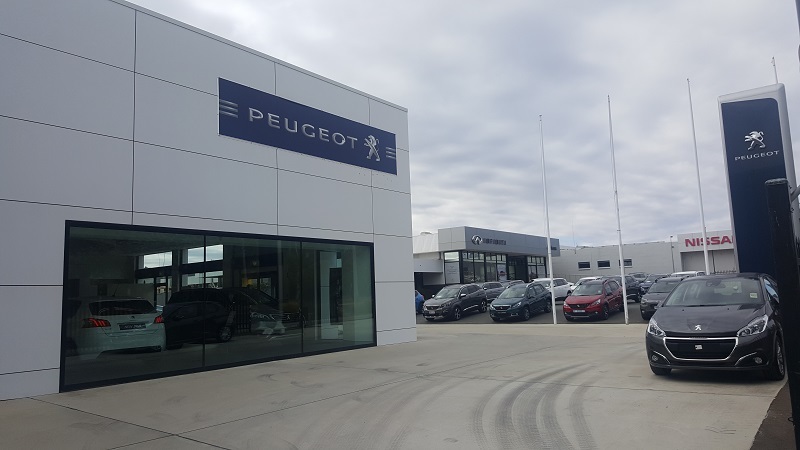 If you’d like to check out a Peugeot for yourself, give Rolfe Peugeot a call on (02) 6282 8000. The Peugeot 3008 was supplied to Jane Speechley for a complimentary drive by Rolfe Peugeot. Great review Jane. Looks good on style, performance and price. 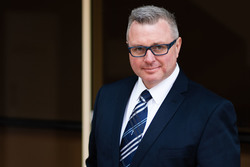 it is just the SUV to be driving around in Canberra as you pass all the embassies and wonderful diverse cafes and restaurants – we are very lucky to live in such a wonderful city! Have had mine for six weeks now and just love it.